There is so much I can say about Gintama. And yet not enough. I read a few chapters in the past, not much but enough to enjoy it. I just never got to continue it. Coming from the same era as Naruto, Bleach, Fairy Tail and other series, there is just so much i could read in my spare time. But now, I found time to read the series and watch the tv show and it is far from disappointing. Gintama is a one of a kind manga set in Edo after the invasion of aliens called Amantos. In a era where samurais ar There is so much I can say about Gintama. And yet not enough. I read a few chapters in the past, not much but enough to enjoy it. I just never got to continue it. Coming from the same era as Naruto, Bleach, Fairy Tail and other series, there is just so much i could read in my spare time. But now, I found time to read the series and watch the tv show and it is far from disappointing. 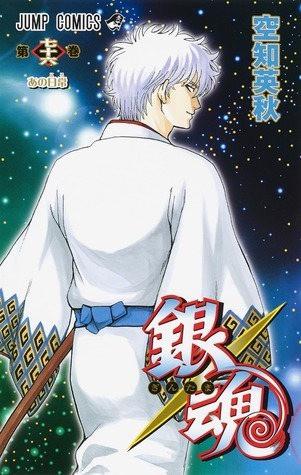 Gintama is a one of a kind manga set in Edo after the invasion of aliens called Amantos. In a era where samurais are a thing of the past, Gintoki along side Shinpachi and Kagura perform odd jobs in an episodic way in order to pay their monthly rent. The series focuses on running gags, old and current, drawing references from the screens, currents news, Japanese culture and even other manga series. I would describe it as the South Park of mangas with nothing but gags and no morals for you to learn from (Even though Sayonara Zetsubou Sensei had the same use of reference but from literally works, it still had morals and more of a dramatic tone to it). The running gags are infinite but as the story progressed, the addition of main arcs became apparent. Well written, the arcs added a more serious tone to the episodic genre of Gintama but also slowly presented us with past events and how certain characters were today. The arcs aren't too long, lasting no more than 5 chapters (last arcs have been longer than usual), removing the dragging effect that most series have. Breaking the 4th wall, Gintama makes fun of itself and apologizes for any offence it could give to it readers with recurrent Jump gags. Each character having their own personality, going as far as giving them "outrageous" faults, such as eating everything with mayonnaise/ spicy food, or being sadistic to a point of no return. Every component in this series is flawless and makes Gintama truly one of a kind. Unfortunately, I have yet to compete the series as it is in its final arc (Been two years man!!!) but hopefully it will end on a good and comical note. After all, most plots are pretty closed off as the author leaves no stone unturned.